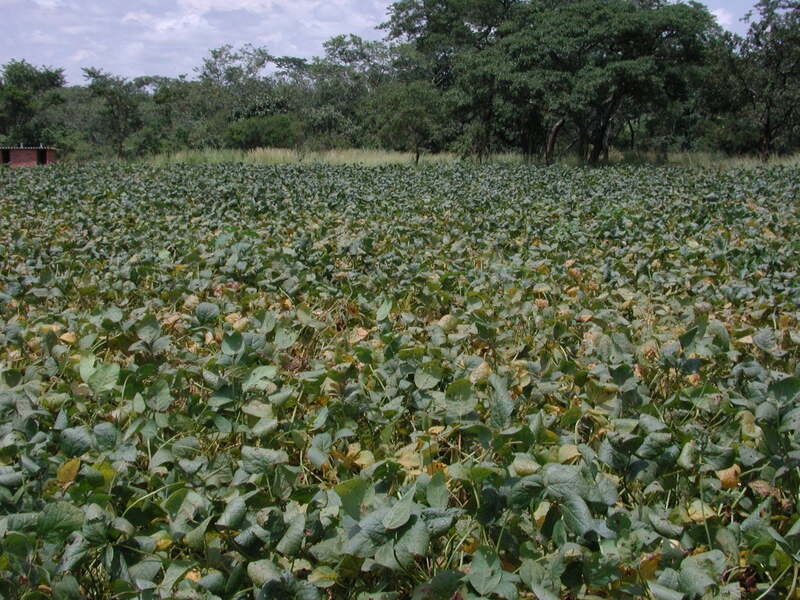 Soybean rust is caused by the fungus Phakopsora pachyrhizi. Symptoms are most common after flowering, beginning on lower leaves. 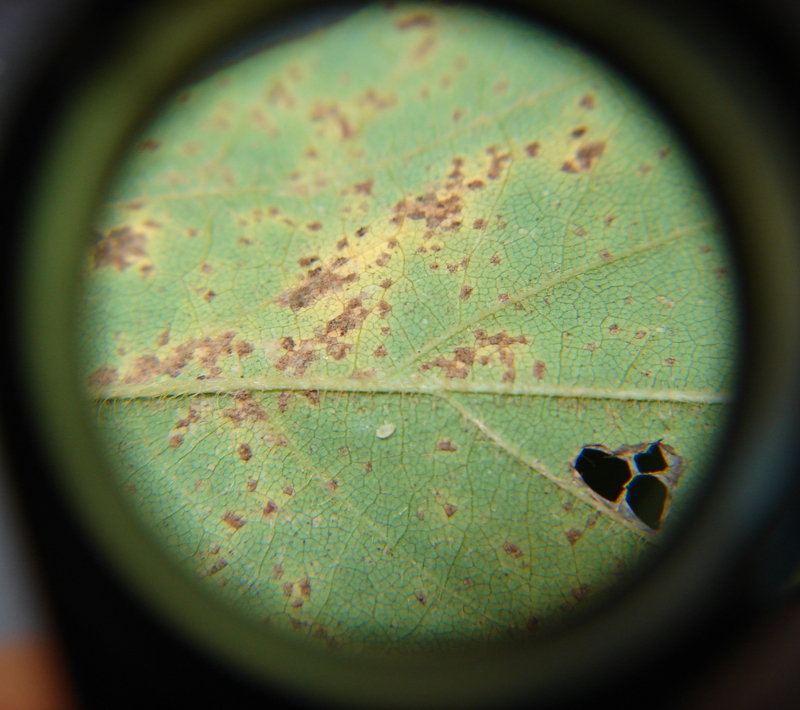 Lesions start to form on lower leaf surfaces as small, gray spots that change to tan or reddish-brown. Lesions are scattered within yellow areas appearing translucent if held up to the sun. Mature lesions contain one to many small pustules, usually on lower leaf surfaces. The rust pathogen survives in southern states. Movement northward depends on dispersal of spores and disease establishment in new areas, a process that needs to be repeated several times in a growing season for rust to cause an epidemic in northern states. Cool, wet weather or high humidity favor epidemics. 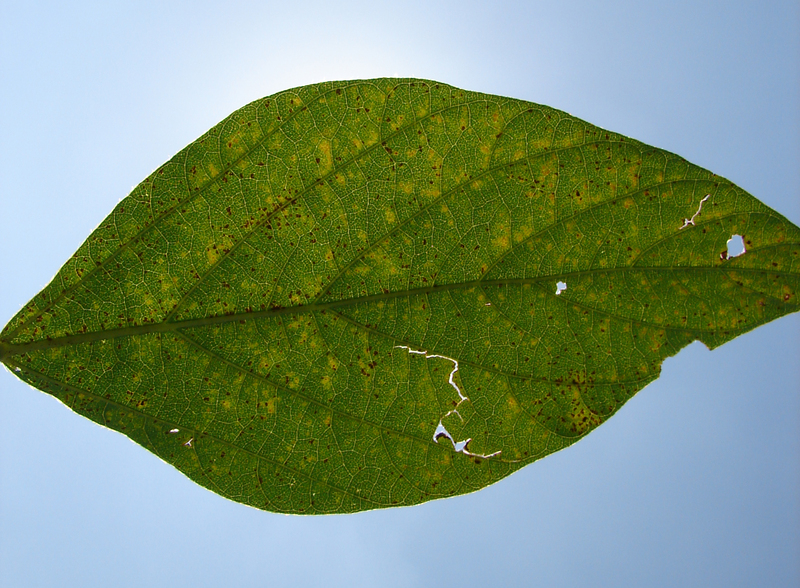 Dense canopies provide ideal conditions for disease development. 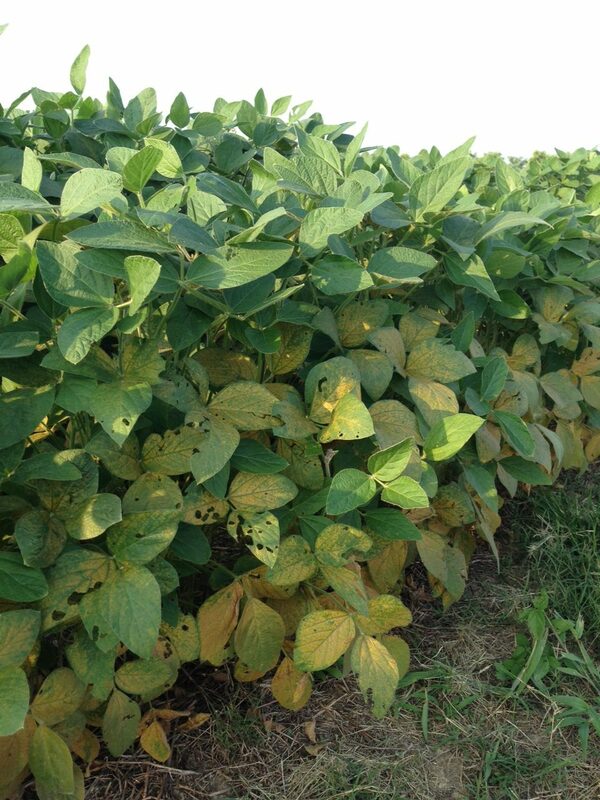 Foliar fungicides are the only viable option for managing soybean rust and need to be sprayed prior to infection or, at the latest, very soon after initial infection. Soybean rust on soybean leaves. 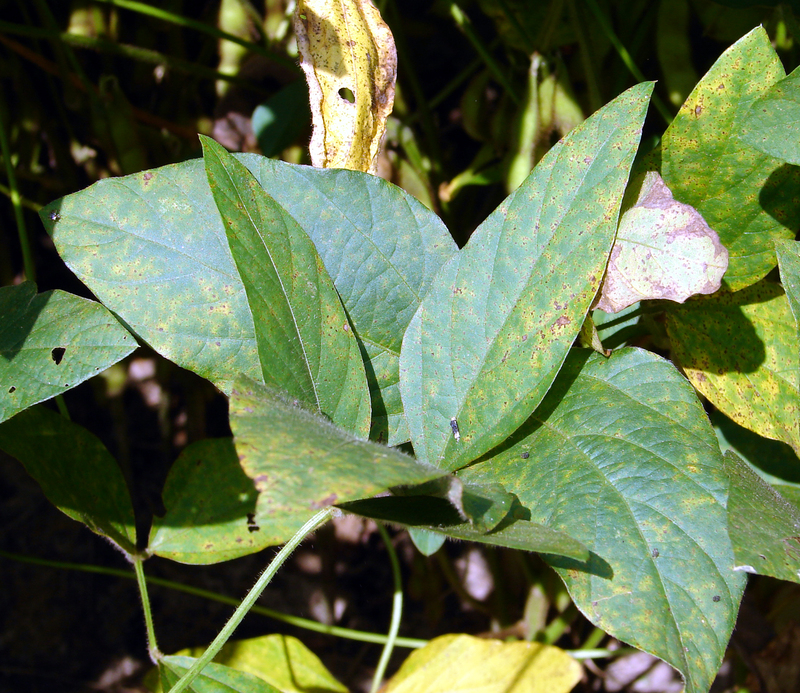 Canopy leaves parted to reveal lower leaves with soybean rust. 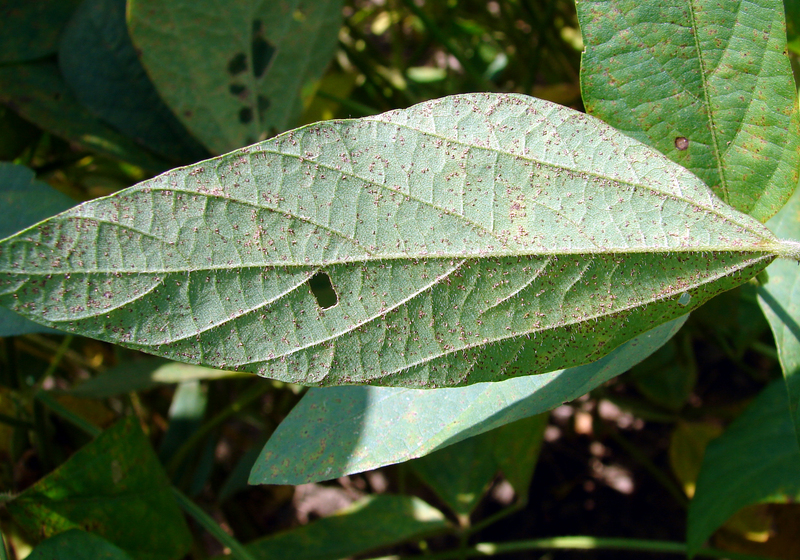 Soybean rust pustules on leaf underside. 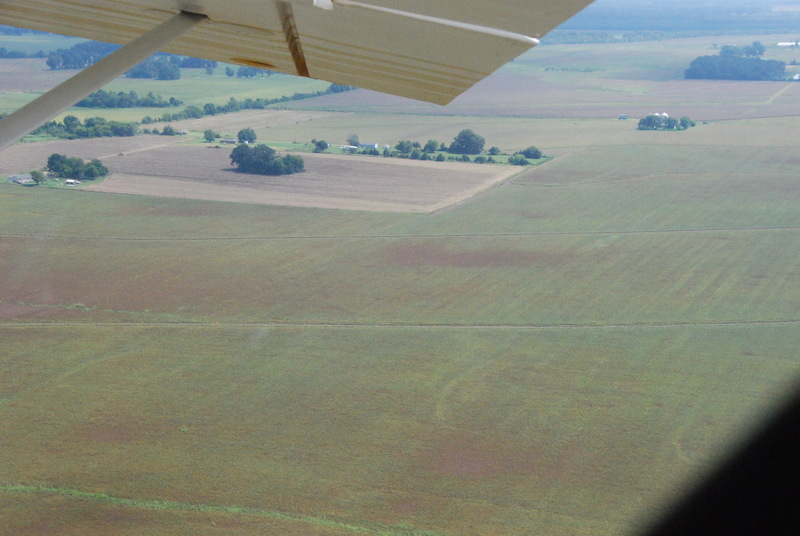 Aerial view of soybean field with patches of soybean rust. Lesions are scattered within yellow areas that appear translucent if held up to the sun. 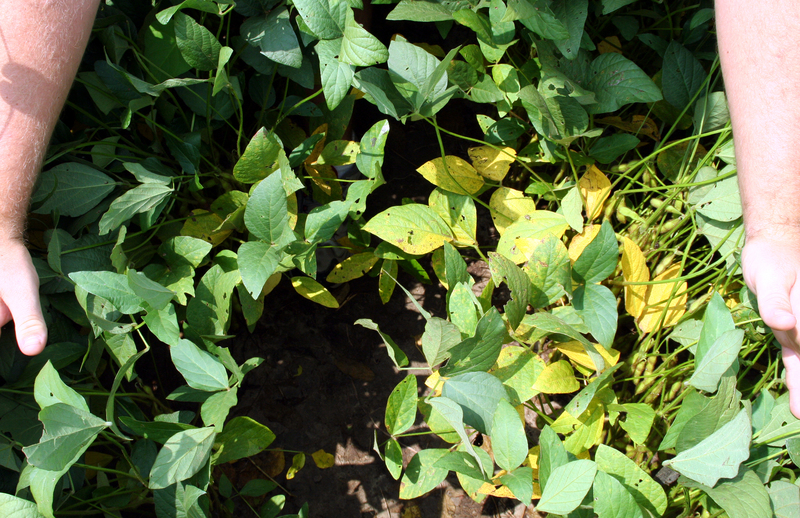 Patch of soybean plants with soybean rust. Soybean rust begins on the lower leaves in the canopy. Leaf underside showing symptoms of soybean rust. 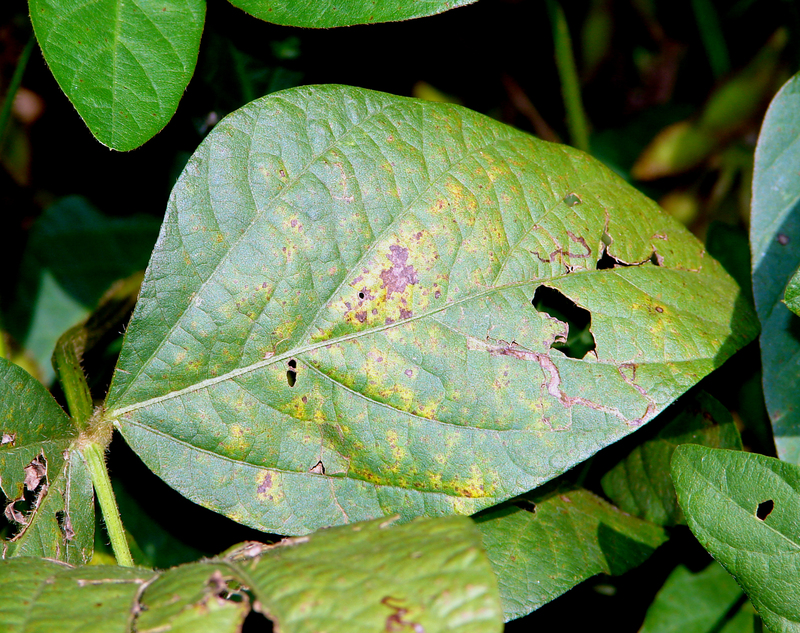 Symptoms of soybean rust on soybean leaf.